I drink homemade iced coffee every single day. Even in the dead of winter you can find me sipping on my iced coffee. If you have ever bought iced coffee at Starbucks or any other coffee shop, you know how expensive it can be. Today I’m sharing three ways that you can learn how to make iced coffee at home! 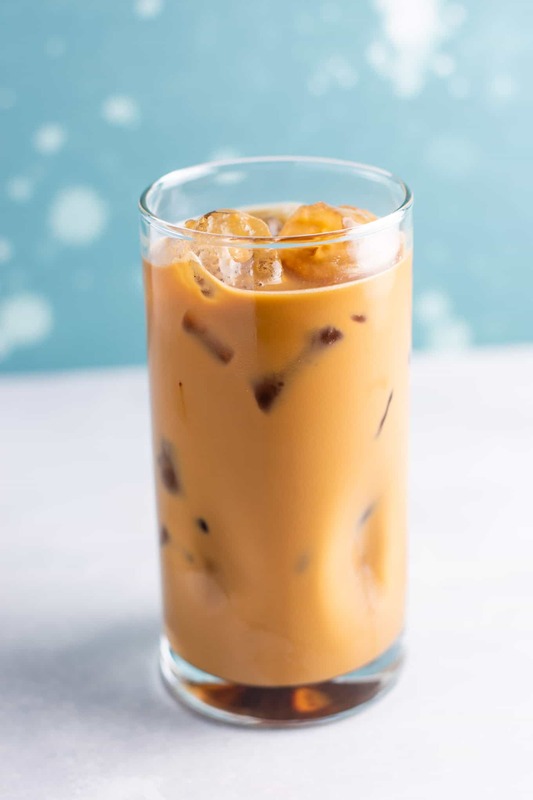 There are several ways to make homemade iced coffee. You can make instant iced coffee, cold brewed iced coffee, or use brewed chilled coffee. Each method varies on how long it will take, and you may find you prefer the flavor of one method over another. This is by far my favorite method and the one that I use the most. Ever since creating my Instant Iced Coffee Recipe, I have made it almost every single day. This method is by far the easiest and the fastest. You only need two minutes or less to make your iced coffee! This method is great if you like a very strong coffee. My favorite way to make cold brew coffee is in my french press. You can play around with flavors and strengths. see also: Cold Brew Coffee Floats for one of my cold brew coffee recipes. This method is great if you have a hot coffee drinker that lives with you. My husband loves hot coffee like I love my iced coffee – even in the middle of the hot summer he will drink hot coffee! When I burn out on my instant iced coffee, he will brew extra coffee in the mornings and pour it into a mason jar in the fridge. A few hours later, I have brewed chilled coffee that all I have to do is add creamer and ice! 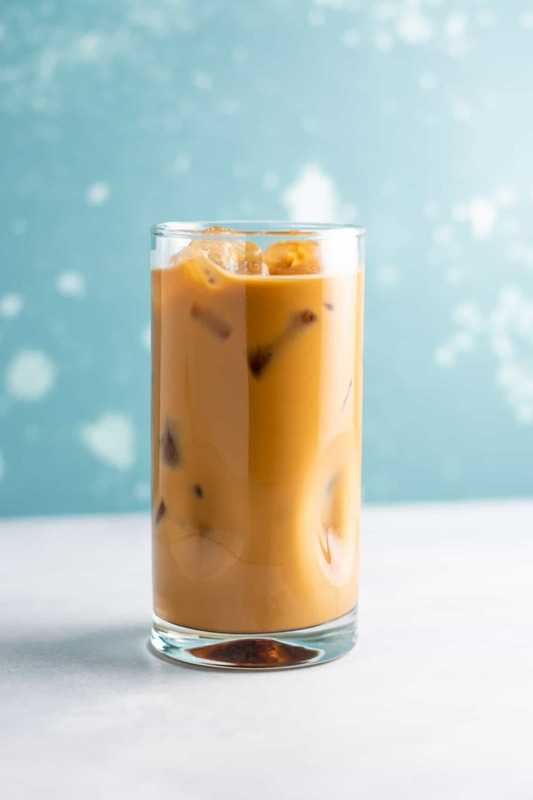 No matter which method you choose, you only need simple ingredients to make iced coffee at home. 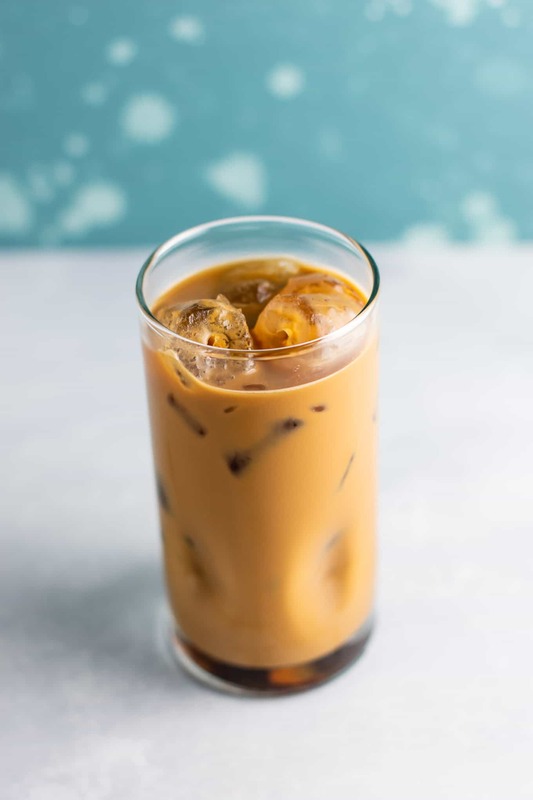 Once you stock up on your favorite coffee and creamer, you can make dozens of homemade iced coffees at a fraction of what you would pay for them at a coffee shop. I personally love to use almond milk and soy milk creamers, as they are not only a little healthier, but very creamy and taste amazing. If you start to get tired of your coffee, just switch coffee brands! I always find that all I needed was a change of flavor. I usually alternate between several instant coffee brands, and occasionally mix it up with brewed chilled folgers or starbucks coffee. Hi! I’m about to go shopping to get the liquid hazelnut syrup to go with your recipe. I am a conservative and hate all that Starbucks represents (uppity, fake,liberal, narcissism and political stupidity) so never go there. I’ve been using some storebought dry instant hazelnut coffee mixes but lately I discovered that if I don’t drink it all and let it sit overnight, it turns to aslimy gel. Which is disgusting…what’s it doing inside my body…turning to gel? I’m going to try your recipe and see what happens. Thanks!! !